Spiced Orange and Almond Rumballs. Place all the ingredients except from the coconut for decoration into your food processor and pulse blitz until the dates are pureed and the ingredients are well combined. 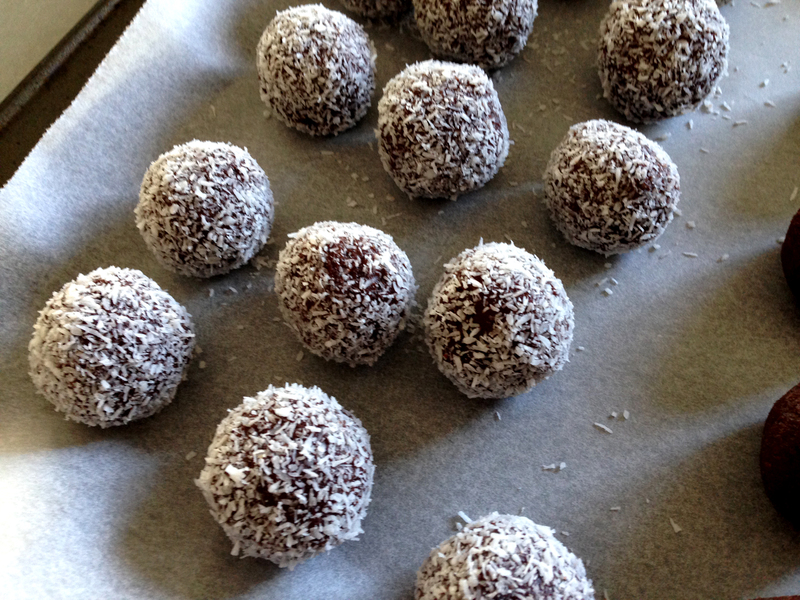 Using a teaspoon sized balls, roll until even and then roll in the coconut to cover. Place onto a tray covered in non-stick baking paper. Repeat until the mixture is all used up, then place the tray into the freezer for approx an hour to harden and serve. Keep refrigerated, should last approximately a week.